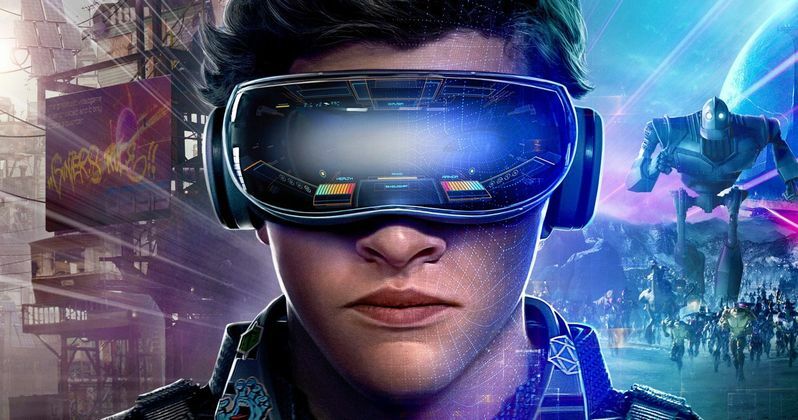 Legendary Director Steven Spielberg's latest movie Ready Player One promised fans a plethora of 80s nostalgia, and it delivered all of these nostalgic expectations in a basket weaved from Spielberg's always fantastic storytelling abilities. This movie is certainly great, but what is it that makes it so great? First off, there's the elephant in the room: the nostalgia. For anyone looking for a flash-to-the-past, this movie is for you. One of the most surprising aspects of Ready Player One was the variety in nostalgic references that were made. Not only would the movie make references to other science fiction films like Back to the Future and The Iron Giant, but they'd include major moments dedicated to films from other genres as well. Films like The Shining, Child's Play, Say Anything, and oddly enough Godzilla vs Mecha-Godzilla all received the spotlight at some point, along with many more delightful surprises. This healthy overdose of nostalgia made the film into a truly fun experience. It's certainly the most fun experience I've had in the theater for a long time. Normally, I feel bad about laughing out loud at the movies, but I fortunately was not the only one. Everyone in the audience was perfectly entertained throughout the course of the film, which isn't typically an easy feat for a film to achieve. The second factor of what made Ready Player One so great was the inspiring message the film told, which is likely truer now than ever. As the Internet grows larger and larger each year in our world, so does its power over us. Almost everyone, particularly those in younger generations, tends to be glued to their phones or other screens, which isn't necessarily a bad thing. However, as Ready Player One tells us, allowing technology to control our lives too much can become destructive. Walking out of the theater, I began rethinking what I do in my day to day life. Myself, along with millions of others, have become controlled by things like Facebook, Twitter and other social media sites. The days of spending time with others without being on your phone for a portion of the time has seemingly left. Steven Spielberg loves sending messages to the world in his films, as he did earlier this year with The Post. From what we can gather, this time around, Spielberg is telling us to not let technology and the Internet control our lives, and to focus more on what is real in the world. This is a very important message that many of us tend to stubbornly ignore in our day-to-day lives, making the timing of Spielberg's latest film perfect. While I personally had no issues with Ready Player One, I overheard a few others in the theater spewing a few harsh words about it. The few who were displeased with the final film had all read the book and ended up saying some form of, "the book was way better." However, this is not uncommon, as a book is able to fit a lot more in its hundreds of pages than a movie can in its approximately two hour run time. While Ready Player One may be deemed a bad adaptation, as a film on its own, it is nothing but spectacular. Though the film is clearly based around 80s nostalgia, the content of the film is more valid now than it ever would've been before. This film will make you close your eyes in laughter, but then reopen your eyes to realize the thematic message of the film. Though I've seen almost all of Steven Spielberg's films over the years, I have never seen one like this. Ready Player One is in theaters now from Warner Bros.